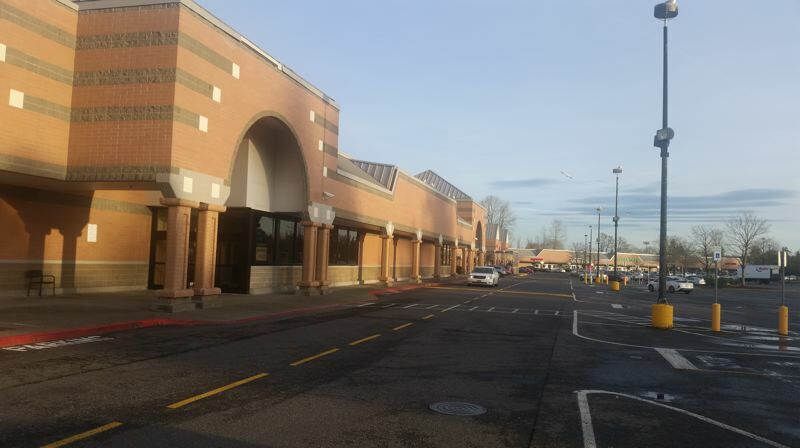 Eagle Bargain Outlet's move to McLoughlin Boulevard this month adds 9,900 to the 57,113 square feet already vacant in the Milwaukie Marketplace. Not counting the stand-alone buildings along Highway 224 — like McDonald's, Taco Bell and Shari's Restaurant — Milwaukie Marketplace's main mall building has 173,581 square feet for tenants. Nearly 40 percent of that building is vacant. The only shopping mall in Milwaukie city limits, the 16-acre Marketplace has struggled to keep tenants since the 2015 closure of its largest space that had been set aside for a grocery store. For decades, it had been an Albertsons, but the grocery/pharmacy closed soon after being bought out by Haggen, which declared bankruptcy later that year. 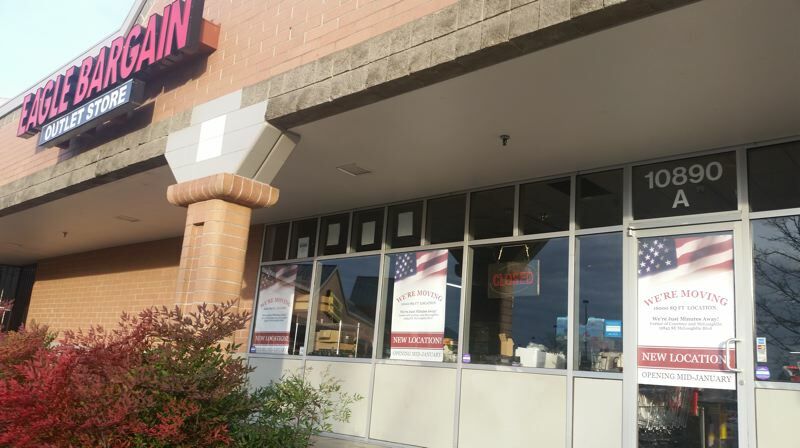 Milwaukie Marketplace recently lost a Payless Shoes, Hallmark card shop, pet store and martial-arts studio. Troy Gambee, president of Eagle Bargain Outlet, said annual rent increases at Milwaukie Marketplace were "not exuberant" in the store's seven years at the location. His main reason for leaving was Milwaukie Marketplace's lack of providing him with long-term leases. "Security in a location is very important to me," Gambee said. Milwaukie Mayor Mark Gamba has identified the 42,630-square-foot space vacated by Haggen/Albertsons as a top priority for the city. "Both myself and staff, particularly our Community Development Director Alma Flores, have put untold hours in calls, emails and meetings with various grocery chains," Gamba wrote in a recent update to citizens in the city's newsletter. Gamba said Milwaukie received a "verbal commitment from a popular chain" to occupy the space, but the deal fell through a few weeks later in 2017 when Amazon purchased Whole Foods. "If you were watching West-Coast wide, you would have noted that several newly opened stores closed; others that were soon to open still haven't," Gamba wrote. "There is not unreasonable fear that the disruption that destroyed thousands of small bookstores and a few large chains was headed for the grocery industry." Milwaukie has been applying for grants that would allow the city to hire a consultant to assess the market support and financial feasibility of a preliminary public market concept for the vacant grocery space in Milwaukie Marketplace. So far, the city has not received funding from last year's Healthy Clackamas County Community Grants program or the county's Small Grant Program. "Obviously, some things will take longer than others and some things are out of our control," Gamba said. "As the building of new homes continues throughout the city, and the good work we are all doing continues to be noticed far and wide, we will draw the attention of good companies that wish to serve the good people of Milwaukie." Eagle Bargain Outlet moved this month to 13843 S.E. McLoughlin Blvd., a space formerly occupied by the Teen Challenge thrift store. Gambee said he was able to sign four consecutive five-year lease terms at the location, giving him the security the business needed to remain at the location.